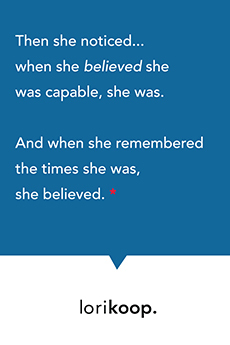 when she believed she was capable, she was. It’s funny how this works. But it does!